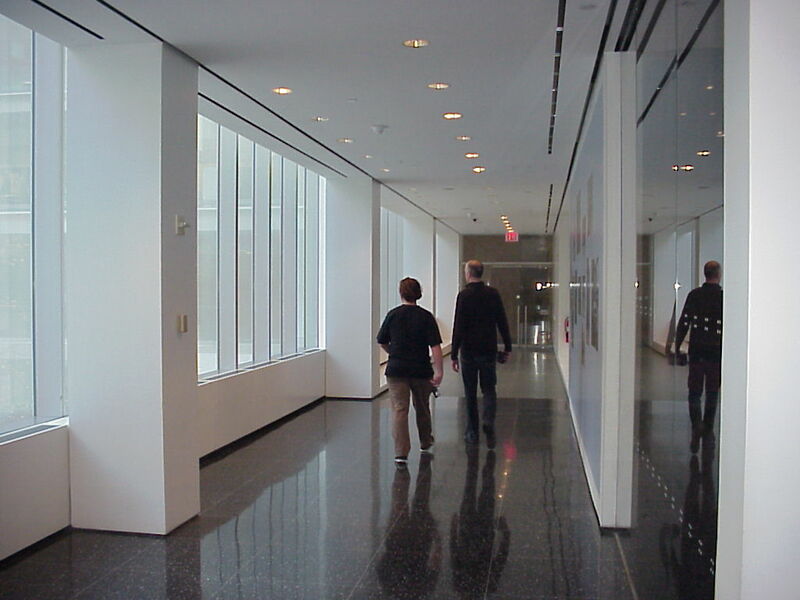 We’ve been asked to study off-exhibit lighting in public corridors at MOMA. In the space above the lighting currently consists of 5″ diameter specular high hat 60W incandenscents on a tight spacing. Current energy usage is roughly 2.24W/SF yielding 29 FC with fixtures 135″ AFF.